The ferry boat Phi Phi to Krabi leaves from the main pier on the island and takes about 1 hour and 20 minutes to get to either Krabi Town Pier, Railay or Ao Nang. For some, the seasonal Koh Lanta ferry is technically a Krabi ferry even though it heads a lot more South than the main ferries. The ferry boat Phi Phi to Krabi starts at the new ferry pier on Tonsai Bay on the edge of the main Phi Phi Don village. This bustling area of the village is the pulse of the community where day tripper’s mix with people staying overnight and the cafe and bar scene has a life of its own. It's also a place where you can get things done like organize diving at schools like Moskito Diving, organise onward travel at agents like Siam UK Travel and Tours or visit the post office etc. The ferry boat Phi Phi to Krabi leaves heading east around Shark Point at Long Beach. Long Beach is the last long stretch of sand before you head off up along Phi Phi Don's eastern shore past the 4 and 5 star resorts of the Zeavola Phi Phi Resort, Holiday Inn Phi Phi Island and Outrigger Phi Phi Island Resort and Spa (previously Phi Phi Island Village Resort And Spa). Gliding past Bamboo Island you head towards the Krabi coastline with it's distant mountain peaks, cliffs and palm fringed shore. In the foreground you see the imposing Phrang Nga mountain range and it is here the ferries divide. Krabi Town is the main Provincial hub and the ferry takes you to the Klong Jilad Pier. From here it is a short 5 minute taxi or bus ride into the center of town where there are plenty of cafes, bars and restaurants and a selection of accommodation down by the river. Another ferry boat Phi Phi to Krabi takes you straight to the main tourist beach of Ao Nang and the famous Railay Beach headlands in the heart of Phrang Nga. The Railay beach drop off is out at sea and requires to get on a longtail boat to get ashore. The main Ao Nang Princess heads over to the pier. Finally the ferry Phi Phi to Koh Lanta heads south east to a remote setting. Arriving at Saladan Pier you are transported to a laid back place where it's just as easy to go for a walk down a deserted beach as it is a sip a Mai Thai in the resort bar. The ferry boat Phi Phi to Krabi runs all year but special note must be made of strong winds that can occur in June and September. See the weather link for more details here but suffice to say that the 2 monsoon months have the worst of the waves, wind and rain and are not as popular as other months of the year for travel. 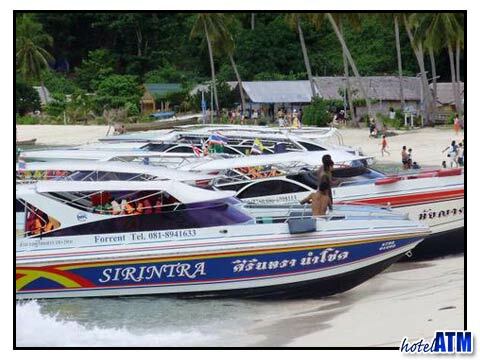 Koh Lanta ferries run in high season only which is November until April. See more here; ferry. The ferry boat Phi Phi to Krabi leaves the main pier in the morning at 09.00 am and 13.00 pm for Krabi Klong Jilad Pier as this is the key ferry for the local population. 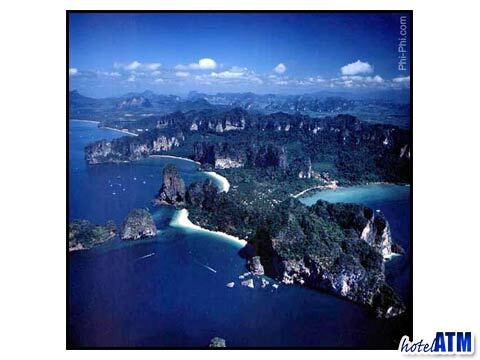 The ferry leaves at 15.30 direct to Ao Nang Beach with a stop off at Railay beach. The Koh Lanta Ferry leaves at 10.30am and takes an hour. See more here; ferry.